(1) Over 20% of graduates from the JESS Sixth Form are predicted to achieve more than 40 points, (approximating to 4A* at A-levels). (2) In 2016-17, JESS students achieved a 78% offer rate from a total of 228 applications to top universities in the UK. JESS students received offers from 9 of the UK's top 10 universities. (3) In 2016-17, 75% of students invited to interview at Oxford and Cambridge received an offer. 100% of applications made to Cardiff, Glasgow, Newcastle, Warwick, York and the University of the Arts, London resulted in offers for 2017-18. (1) At Sixth Form, classes are limited to a maximum of 16, however, the average is nearer 10. • BTEC provision at Sixth Form, including integration of industry qualifications - probably a benchmark for how BTEC should be properly integrated in schools across the Emirates. 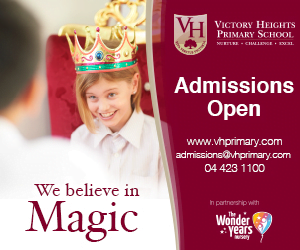 •	Outstanding school transparency - probably the best front-facing school communications we have seen in any school. •	Arabic course provision does not match the standards of other core areas, a universal weakness of British schools. •	(Very) highly recommended - schools (worldwide) don't come any better. JESS Arabian Ranches is one of the elite, not-for-profit British “Ivy League” schools in Dubai, teaching pupils between the ages of three and eighteen years. 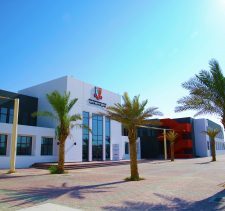 The school is one of two branches (the other being the original Jumeirah English Speaking School [JESS], a primary school based in Jumeirah) and was established in September 2005. Since then the school has grown to a size of 1,394 students (over half of whom are from the United Kingdom). In 2017-18 Jumeirah English Speaking School Arabian Ranches achieved the prestigious SchoolsCompared.com accolade for Best School in the UAE 2018. More information can be found here. JESS Arabian Ranches is one of few schools to provide us with comprehensive and verified IGCSE results. In 2018 the results are, as might be expected, outstanding– and particularly so given the inclusiveness of the school on entry. 2017-18: 10 students achieved 9As. 2016-17: 13 students achieved 9As. 2017-18: 34 students achieved 9A– A awards. 2016-17: 27 students achieved 9A– A awards. It should also be noted that exam performance is only one measure of how well a school performs for children. In 2019 the UK is introducing a “Quality of Education” measure to downgrade schools which “teach to the test” in so called hothouse “exam factories.” The new measure will celebrate schools, like JESS, which focus on the breadth of education and child development. 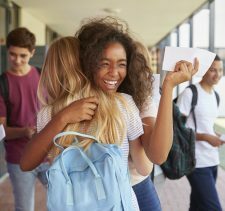 This will see schools which achieve for children across the breadth of subjects including art, sport, drama and music celebrated above those that just achieve in exams. Instead the best schools will be shown to be those which develop the “whole child” – and inspire the kinds of creativity and innovation increasingly valued in the new digital economy by the likes of Google. In a statement that echoes our own own long held frustration with the misleading concentration on exam results as a sole measure of a school, Amanda Spielman, the UK’s Chief Inspector of Schools, described hothouse schools which focus solely on achieving high results in a limited number of supposedly core subjects as “betraying” a child’s proper education. Our priority over the past three years has been to provide the highest quality British curriculum education and examination results, whilst ensuring that we continue to provide the best possible all-round education and pastoral care to all our students. A “Very Good” rating defines a school which, for the KHDA, delivers a quality of education above the expectations of schools in Dubai. An Outstanding rating offers a nuanced step above in offering an education “substantially” above those expectations. 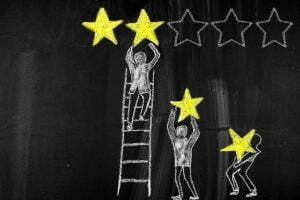 At the outset it should be said that a “Very Good” rating, by any standards, defines a school delivering for its children at a very high level. 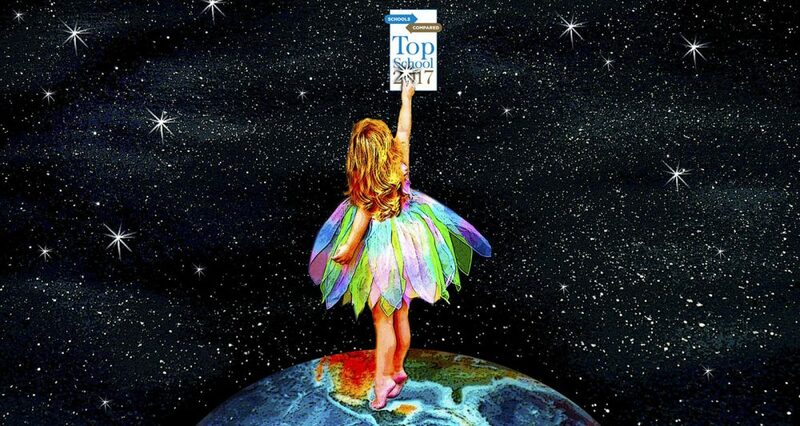 So what caused the drop in rating of what is widely accepted, including by ourselves, to be one of a very small number of Tier 1 schools competing with the best schools on a global stage? This leads onto a bigger question: how as parents should we evaluate the importance of KHDA ratings when we shortlist schools for our children? First, it is worth identifying the key areas in which the KHDA identify their perception of JESS weakness, before trying to make sense of them. It is worth noting that in all these areas the KHDA has introduced significant changes to its requirements from schools. In the first area, JESS suffered because it used an alternative method to that used by the KHDA to measure progress – this in turn having a knock on effect in the way the KHDA measures other areas including the way the school perceives and measures its own performance, and in turn, its rating for leadership. What does this mean for parents? We see this as a technical issue (JESS Arabian Ranches has historically used a measure called midYIS rather GL now required by the KHDA). There are at least three areas of the KHDA report that would have secured an Outstanding, rather than Very Good rating had JESS used the GL system – and as a result we see this as very simply solved and not any area that should at all worry parents. In the second area, it is fair to say that all international private schools struggle with Arabic subjects. The performance of JESS is, in our view, no better or worse, than other schools grappling with extraordinarily difficult subjects, particularly for non Arabs. This said, the value of our children learning Arabic and absorbing broader cultural contexts is a critical benefit of a Dubai education. It gives our children a competitive advantage in the global economy. We would like to see all schools improving their performance in this area – and certainly native Arabs should not be being held back by attending an international school. In the area of Science, JESS Arabian Ranches missed out by two points in a subject area that is a challenge for all schools to meet the Outstanding grade threshold. We do think that the KHDA was unduly harsh in rating Post-16 Science at a very Good, rather than Outstanding level. This is, on any view, a very forward thinking school that in many ways sets the benchmark for innovation and critical thinking skills across schools in the UAE. “Technology is going to transform how education works over the next few years. It’ s beginning to deliver what it always promised. We need to build on the skills that computers and robots don’t have and can’t do. What we need are people that are creative – people that can come up with connections, new ideas, foster new ways of looking at problems and the world. Developing and fostering our young people’s creativity is in many ways, in the new global economy, more important than drilling them in Mathematics, for example. Our young people are really well prepared for a global market place. They have probably already lived in 3 or 4 countries. They have moved around the world, They speak several languages. They have experienced different cultures. In summary then, In all these areas, we believe that JESS has the capacity to re-secure Outstanding school status on paper at its next inspection – but more importantly, in practice, we do think the school continues to deliver a world class, outstanding education for its children. Teaching and assessment remain of the highest quality across Foundation Stage and Primary Phase. In the Post-16 Phase, examples of exciting and inspiring teaching are seen in almost all subjects. The school exceeds the requirements of the national Agenda in the range of opportunities it provides for enterprise, creativity and innovation. The care and protection of students is a strength of the school. Students with SEND make very good progress in both academic and personal development programmes. The school instills in students a respect for UAE values and culture. There is a strong commitment to ensuring that all Emirati students have high aspirations and meet their potential. Cultural diversity is celebrated in school. The school’s leadership is at the forefront of technological developments in the use of digital applications to support effective teaching, leadership and management. In English, attainment and progress are outstanding at all phases. The curriculum is broad, balanced and very effective in all phases of the school. 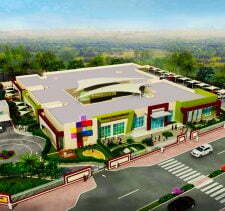 Resources, facilities and the premises enhance the promotion of critical thinking, independent learning and innovation. So what should parents take from the “Very Good” school rating? In our view, JESS Arabian Ranches is, and remains, an extraordinary, inspirational school that delivers a world class education for its students. A KHDA Outstanding rating is a rating by the KHDA. 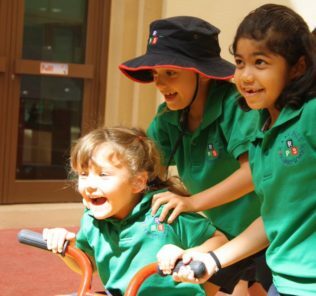 A KHDA “Good” school will for many children be an Outstanding one – it depends on which parts of the KHDA report are relevant to each child – and your ambitions and values as a family. This is not in any way to take anything from the KHDA – the Dubai government is on a mission to achieve from our schools a level of ambition that is in many ways unique, aspirational and laudable. But there is a clear danger in defining schools only by their KHDA rating – and, as above, this would be to miss, in the case of JESS, a school that is rich and successful in delivering on the results children need to secure their place in the world – and more importantly, the whole child, cultural and innovation advantages that will differentiate them in their future careers. The best Mathematics teachers, for instance, are often those who didn’t get first class honours but who got thirds, struggled all the way, but can empathise strongly with the struggle of children who take time to understand key concepts.” Mark Steed, Director of JESS Arabian Ranches. With maximum class sizes of 22, a student-teacher ratio of 1:11, and an Outstanding rating almost every year since founding, JESS Arabian Ranches’ (Jumeirah English Speaking School Arabian Ranches) biggest difficulty has always been turning parents away – especially those that have chosen to live in the Ranches only because of the school. Waiting lists of up to 2000 across the school grades has resulted in some lists being closed altogether. Increasing competition in the area means this is less likely to be such an issue going forward, but given the consistency of its successes this is a school that will always be popular. Not-for-profit is in the JESS DNA and this shines in the high quality of both staff, curriculum and facilities; income from the debenture system is used entirely for school resources and staffing rather than being siphoned off for shareholder or owners profit. There are many discussions that have taken place behind the scenes between the school and members of both our, and our sister organisation’s, WhichSchoolAdvisor.com, teams. What we have collectively drawn from these discussions is information that does not translate easily to numerical data but which demonstrate the absolutely extraordinary thought and investment that takes place behind the scenes in both JESS schools. A couple of examples that are not well publicised. First, teachers are on short term contracts, this designed to ensure that the school retains only the very best teachers that align with the ambitions of the school for its children. The headline teacher turnover rate, whilst modest in Dubai terms at just 15%, must as a result be understood in a positive context. Other schools offer long term fixed contracts choosing continuity often at the price of weaker calibre teaching with a poor fit to the school and the needs of its children. Second, this is a school that is not bringing in increases in role to drive profit. Other schools are increasingly introducing new classes as a hidden way to drive revenue with all its associated risks on quality. JESS is steadfast in not doing this – and as a not-for-profit it enjoys some respite from the pressures to do so. Both these examples show how very often you need to dig down deeply into figures to understand the rationale at play. Acclaim and popularity may have its roots in location and reputation, but the JESS Arabian Ranches offer is substantive and impressive. 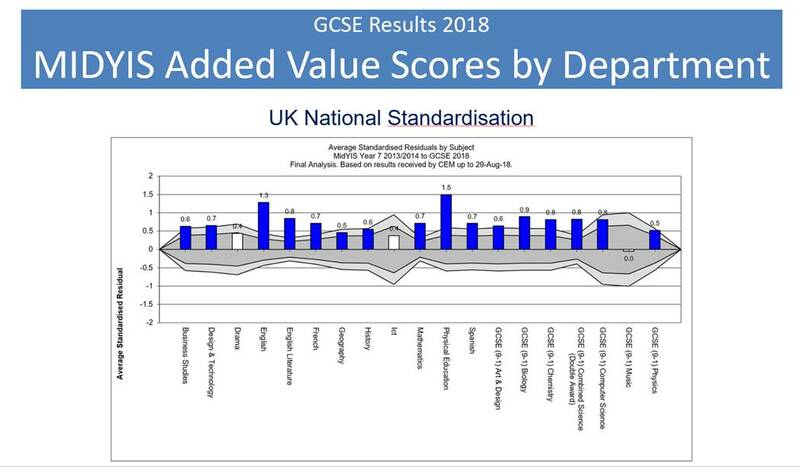 JESS pioneers a dual track British education to 16 followed by the IB Diploma, replicating the increasing move away from A’ Level in the UK’s top public schools. Children are afforded a fabulous breadth of education post-16 that substitutes the intensity of A Level specialism with a greater breadth of subject exploration and, arguably, with its eye on the University slipstream to follow, a much better grounding in critical reasoning and research. 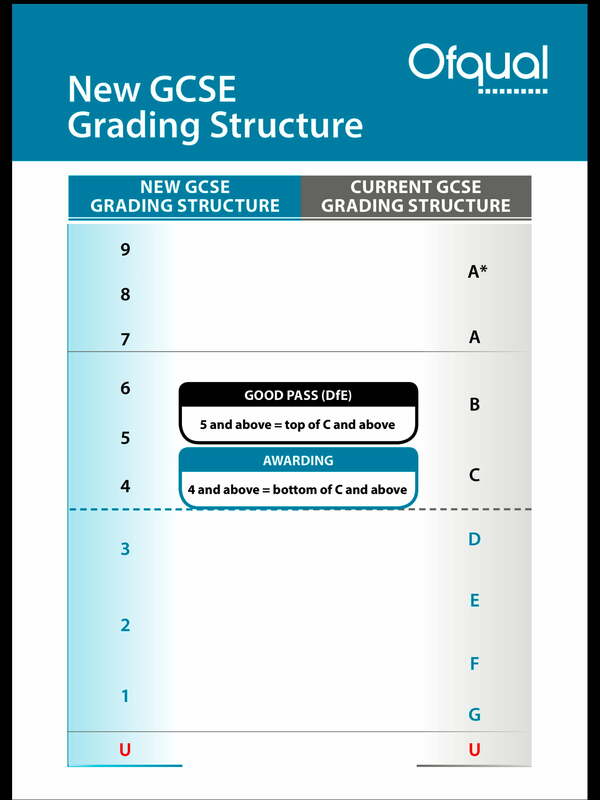 The foundations of (I)GCSE provision are robust offering breadth of choice and high attainment. Across all phases, it is the development in JESS young people of critical reasoning, entrepreneurship, creativity and a sense of everything being possible that shines through. Most telling of the school’s absolute commitment to meet the very different needs of all children, JESS has now introduced one of the broadest ranges of UK BTEC options at Sixth Form. From 2016-17 this includes Art, Sport and Business. The aim is to balance the rigorously academic IB Diploma with alternative, and in some cases parallel, vocational study in areas best able to meet the individual gifts of children. The Art BTEC includes Art History at AS or A level, the Business BTEC a financial services qualification and the Sport BTEC integrates a dedicated qualification in coaching. BTEC is seen as a better, more relevant alternative to the IB Career-related Diploma (IB CP, IB CrP), an option which JESS could have chosen, because of its closer fit with preceding British IGCSE study and broader global recognition, this particularly so in the UK where it dominates as the vocationally grounded alternative to A Levels. Taken as a whole, we believe that BTEC provision at JESS competes with the best available in the Emirates and a benchmark for how to integrate formalised qualifications within a vocational framework. Schools in the UK could learn a lesson or two from JESS – and that is saying something. The full Sixth Form curriculum can be found below, with specific detail on BTEC options from Page 44. This said, we would like to see BTEC options expanded – and there is a clear gap in the UAE as a whole for BTEC study in engineering. Facilities are outstanding across its 9-acre site including 70 teaching areas; Science & ICT labs; Art, Drama & DT facilities; an independent music facility; a 500-seater Auditorium; Dance and Performing Arts studios; 1000 square-metre sports hall; two temperature-controlled, shaded swimming pools; imaginatively equipped playground areas; and extensive playing fields. As above, landmark, high profile Arabic subject facilities are coming on stream in 2018. We were struck again in our latest visit to JESS (February 2017) by the sheer scale of investment in facilities – and the way that these are integrated within a school design that lends a terrific sense of purpose to teaching and learning across school phases and specialisms. The design of the Secondary School is open and appealing as well as being functional. There are 2 large piazzas – one an amphitheatre, and the second a sunken garden. The pavilion style of the external staircases and 1st floor balconies is very effective. The auditorium seats 400 students and has retractable seating. The stage area opens to the rear to the Amphitheatre so the stage can be accessed from inside and outside to provide a variety of settings. The Auditorium is not quite large enough for whole school assemblies so these are held in the Sports Hall. The Library is well stocked and provision is built around low coffee tables for independent study and group work. The Librarian, Michelle Plant, is held in very high regard and won the Lit Festival ‘Librarian of the Year 2016.’ We understand that Ms Plant has been shortlisted again for the award this year (2017). The school runs a significant series of activities based around books and building each child’s love for reading. At the time of our visit, for example, the school was developing a ‘Blind Date with a Book’ activity. The library also provides a focal point for CAS student’s supervision of Maths or Language sessions for the younger children. There are distinct areas for the playing of traditional and modern instruments including a bank of Apple desktops with piano keyboards. The school uses Garage Band software and the room contains 24 fully equipped areas for students. Peripatetic music lessons are offered at additional cost. The school’s Chamber Choir won ‘Voice of the Year 2016’ which resulted in a European Tour. The music rooms open directly onto the sunken area in a similar way to the arrangement with the Auditorium/Amphitheatre. The children audition to perform at lunchtimes once a month and we particularly liked the standard invitation sent to parents to be present. 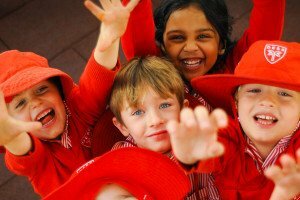 The school is clearly focused on building close relationships with parents and the broader community. The external area has something of the sense of an Italian plaza and is designed to function equally well as an inspirational meeting place for children as it is a naturally dramatic external area for performances. JESS Arabian Ranches has 2 dedicated Design and Technology labs rooms and their spectrum of provision extends across both Computer Aided Design (CAD) and Computer Aided Manufacturing (CAM). Infrastructure includes a CNC Router; an industrial sized 3D cutter; 2D and 3D printers; and a shaping machine (which creates high quality precision work) We understand that the investment in technology has been significant – but was driven by the ambition to offer breadth of subject choice and expertise to meet the needs of individual children – and to provide the practical tools to enable transfer of knowledge to the “real-world” application children will face when eventually leaving school. The major capital investment in technology is matched by significant investment in standard tooling including the spectrum of hand tools, clamps and so on. Technology, of course, is only as good as the investment in bringing it to life for children. You would be surprised at the number of schools we visit with banks of laptops and shiny robotics kit that sit looking sparkly but which are little used. Technology is about application – and across phases and subjects. Three inspirational example follow in the area of Virtual Reality. The first explores the use of VR in Psychology to bring alive brain function and switching – and provoke questions about what reality “really” is. Psychology, a subject that should be studied and offered, we believe, much more widely in UAE schools, is a critical bridge subject between the Sciences and Arts – and from our research a very highly valued subject by top tier universities, including Oxbridge, when considering applications across subject disciplines. The second looks at the use of VR for younger children to bring history, language and literature to life by sweeping children on a journey beside the Titanic. The third clip shows how an older student uses VR to explore the creative processes at play in sculpture and art and how technology can create beauty and blur and extend the boundaries of our senses and the meanings, reason and feeling we use to define art. The Art section has been designed as an extended gallery space and studio; the sense of creativity is at times quite breath-taking with an abundance of very high quality artwork. The IB students have a studio space to work, an area which allows them to leave out their projects – we were struck by the sheer breadth of mediums being used with both weaving and textiles in evidence, as well as more traditional painting and drawing. Similar investment has also been made by JESS Arabian Ranches in Drama. The Studios are below the Auditorium and are evidently well used; walls are adorned with images of performances with some beautiful and powerful images. We understand that there is a steady stream of visiting performers and artists who share their work. One example of this is a recent visit by the well-known ‘Frantic Assembly.’ The production this term was Mulan, and children adapted the animated film to a stage performance. The point here is as much about the investment in the school in subject breadth and choice across subjects that are valued intrinsically because they can inspire the passions, gifts and ambition of individual children than the outstanding successes of individual children per se. The point is that those successes come in no small part because the school invests in the broadest spectrum of subject choices so that children actually have the ability to explore, through subject choice, to develop and discover their potential in the first place. So many schools still cut corners by limiting the curriculum to avoid the expense that comes with specialist teachers. Limited curriculum options as a matter of course leaves children behind and force rounded human beings into square factory boxes. Jess will have none of it. The Sixth Form community centres on a bustling area of circular tables and chairs, cosy seating and a generous kitchen area. A separate glass study area is linked but allows for concentrated study. On our visit we found music playing during the break period and a really lovely vibrancy about the place. The Sixth Form students wear informal business clothes. The area on the floor above the 6th form is dedicated to IB Psychology, Business and Economics and Theory of Learning. As elsewhere, there has clearly been considerable thought in lining areas with interesting, thought provoking material and examples of work. Sport at JESS Arabian Ranches has always been strength. There is now a greater focus on core sports – for boys Football, Athletics, Rugby and Swimming; for Girls Football, Athletics, Netball and Swimming. We particularly liked the school’s sports studio which is used for a variety of activities from Yoga to ZUMBA classes – the emphasis is clearly on making sport an inclusive activity to inspire and nurture an interest in fitness and physical activity among all children including those not naturally interested in sport. The fabulous 9-lane, 25M outside pool is shaded and has dive blocks. There is a good sized training pool alongside. The Indoor sports hall is double pitch sized and there is a separate glass walled gym for use by any secondary student who has completed their induction. The timetable has been arranged so that each class in any given Year Group can combine sports lessons. The ambition is for teams, in so far as it can be made possible, are always given the opportunity to train together. This is quite some feat of time-tabling and the first time we have come across this in a school. It is this sort of detail in planning that sets JESS apart. For parents who have experienced the alternative judgmental and pressurised approaches to sport in other schools- which can result in turning many children away from physical activity for life and damage confidence, Jess’s inclusive approach is the element that will shine through. We could list the many individual and team successes of the school – but that would miss the point. Investment too is ongoing – as of June 2017 the investment, design and build process for a new Sports Hall is underway. Extra-curricular Activities (ECA) provision at JESS is extensive. One stand-out activity is the school’s unique RAK (Random Acts of Kindness) Group whose activities provide something of a tour de force around the school in building a sense of community amongst children and recognition that “no man or woman is an island.” A good example is the Group’s “Wish Wall” which is adorned with Post-it note “wishes” by students across the school with calls for help ranging from “I wish someone would help me find my phone…” to “I wish someone would help with me understand Algebra…” Anyone willing to provide the help contacts the requester and provides the support they’ve asked for. Other ECAs range from the World Scholars Cup to Model United Nations. Investment in teachers is significant. Almost all teaching faculty are UK trained and the school sets the bar high, requiring a minimum of 3-years’ experience to be recruited. All management roles require a further two years’ experience. A significant number of the teachers educate their own children at JESS – an always telling indication of the quality of a school. The school employs 134, predominantly British teachers. Maximum class are 16 students per class at IB Stage, 11 in Early Stages and 22 in the remaining grades. Student care and the JESS holistic approach to critical, creative and emotional intelligence are particularly outstanding, these rooted in a twin approach that recognizes the importance of building up children’s resilience (within a framework that encourages each child’s shared journey in self-discovery of their particular gifts), whilst inspiring an understanding that failing is very much part of that journey and to be celebrated rather than critiqued. As of 2017, the school received the Knowledge and Human Development Authority [KHDA] inspection rating of Outstanding for the sixth year in a row. Inspectors highlighted “outstanding” achievements in teaching and attainment acrss English, Mathematics and Science; overall exemplary and “visionary” leadership; “very effective” Special Educational Needs [SEN] provision across the school; students’ consistently well-developed work ethic and an “excellent,” well designed curriculum that met the needs of “all students” at each stage of their development. 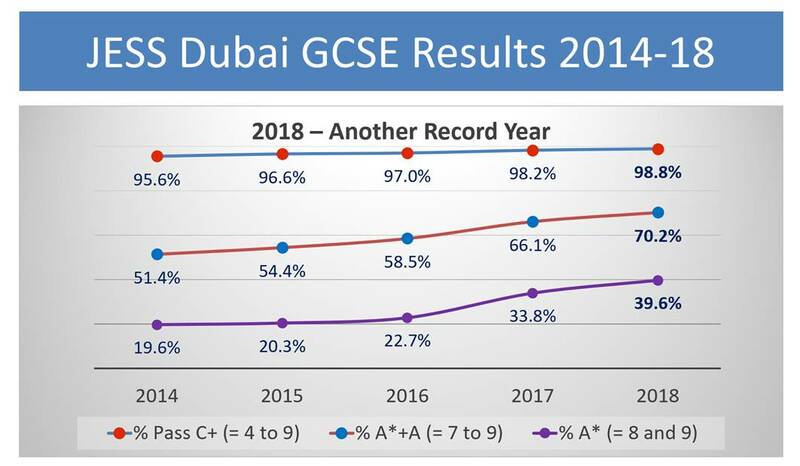 In 2014/15, at IGCSE, 19.7% of exams passed at A*, 51.43% of exams passed at A* or A grade (up sharply from 46% in 2013/14), 95.6% of exams passed at A* to C (up from 95% last year), and 95.4% of pupils achieved 5 passes (A*-C) including Mathematics and English. Almost three quarters of JESS GCSE students passed at least 9 GCSEs. 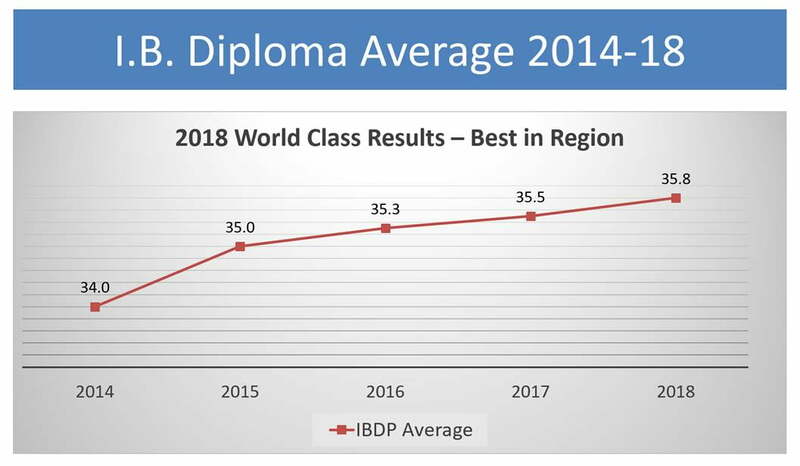 In 2015, the average point score for the Diploma was 35 points, significantly higher than the world average (30 points). In total, 17.95% of pupils got more than 40 points, 55.13% of pupils got more than 35 points, and 84.62% of pupils got more than 30 points. JESS Arabian Ranches was awarded elite whichschooladvisor “Good School” status, the independent organisation’s highest award, in 2013-14, 2014-15, 2015-16, 2016-17 and, most recently, for the academic year 2018-19. Bottom line? The SchoolsCompared.com verdict. There is simply not the space to detail this richness and depth of education and whole child provision available at this school. 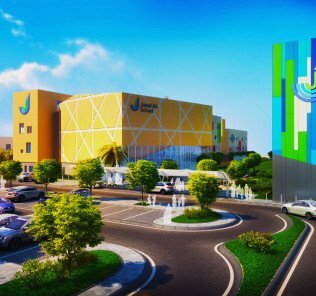 JESS Arabian Ranches achieved top place in the annual SchoolsCompared.com Awards for the Top 25 most outstanding schools in the UAE 2017-2018. 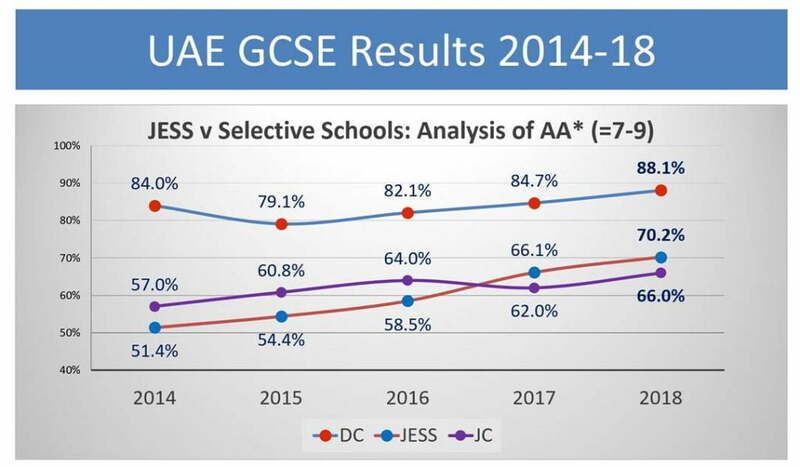 As above, the award of Very Good school status by the KHDA in 2018 reflects, in our view, much more on the credible ambitions of the KHDA to develop a unique, world class context for education in the UAE, than it does on JESS.